World Jet Trading is experts in analyzing the market for Business Jets and provide a professional overview of the current market situation, or the trends for a specific model. We are a part of the Barclays research team who develops the Barclays Business Report. What is necessary is a complete picture and understanding of the historical aircraft market, a detailed knowledge of the current aircraft sales and purchase landscape combined with an understanding of the trends in the general economic climate. 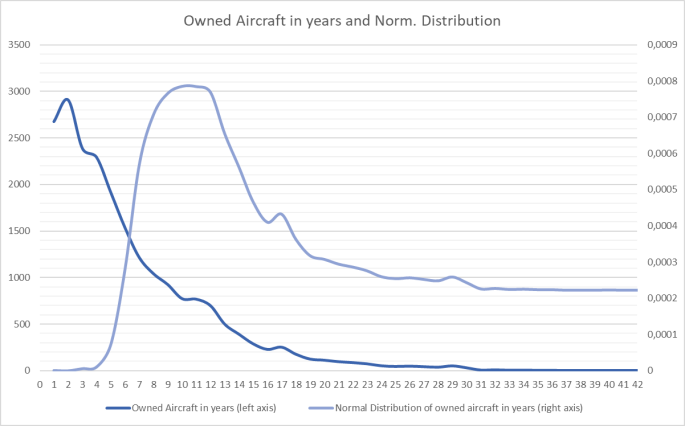 With this knowledge it is possible to make surprisingly precise forecasts regarding prices and trends, model by model within the aircraft marketplace. Thus, the savvy aircraft purchaser knows when it is time to make a move into the market several months in advance. By closely following the market and being in direct contact with aircraft owners on a daily basis, and having a dedicated analysis department, World Jet Trading always has this knowledge. The internal data World Jet Trading has collected originates back to 1978. These data are matched with the global macro economy since the production of corporate jet aircraft starts in 1962. Where is your aircraft in the global market? Information on similar/ competitive models, which can affect the price and possibility of selling. 4.Manufacture comparison in the large cabin category (Embraer, Gulfstream, Bombardier and Dassault Aviation).